***This Session will be repeated on 3/14/14 to allow individuals to attend the whole series & earn certificate. Dubai Information Meeting on Chamber/NAITA Trip to Dubai, at the Chamber of Commerce of Huntsville/Madison County; RSVP tocnalley@hsvchamber.org or contact naita@naita.org for further information. Alabama Trade Mission to Norway & Sweden, Contact Dara Steele, International Trade Specialist, Alabama Department of Commerce, for details. NAITA Presents USASAC Foreign Military Sales (FMS): Today & Tomorrow, at the Chamber of Commerce of Huntsville/Madison County – Seating is Limited. Please contact NAITA at 256-532-3505 for availability. Supply Chain Cost Reduction & Management – Zero Waste – Ms. Susan Warner, Lead Environmental Engineer, Mercedes-Benz U.S. International, Inc.
Japan America Society of Alabama (JASA) Trade & Logistics Summit & Golf Tournament, Mobile, Contact Tamara Moriya atjasa@mindspring.com or at 205-943-4730 for further details. Click here for links to seminar presentations. Alabama Trade Mission to Vietnam Briefing, 11:30 a.m., at the Chamber of Commerce of Huntsville/Madison County. For registration & details, contact Bridgette Clark at 251-694-0702. 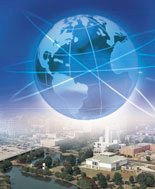 Alabama Trade Mission to Colombia Briefing, 11:30 a.m., at BizTech, Huntsville. For registration & details, contact Beau Lore at 334.353.0299. Alabama/U.S. Commercial Service Trade Mission to Bogotá & Cali, Colombia – For registration & details, contact Beau Lore at 334.353.0299. Japan America Society of Alabama (JASA)/Alabama International Trade Center Seminar on Social Media – For registration & details, contact Tamara Moriya at 205-943-4730 or jasa@mindspring.com. International Trade Compliance Strategies (ITCS) Export Controls & Compliance Seminar in association with NAITA, at the Huntsville Marriott – Seating is Limited – Early Registration Encouraged – Online Registration is available at www.itcstrategies.com. Export Alabama Briefing: Doing Business in Chile & Argentina, at the Chamber of Commerce of Huntsville/Madison County – for information contact: Beau Lore, Alabama Development Office, 334.353.0299. NAITA Trade Tour, at BizTech, Huntsville – BREAKFAST – 8:30 a.m.
Alabama Trade Mission to Colombia – for information contact: Beau Lore, 334.353.0299. Alabama India Business Partnership Dinner, Birmingham – for information contact: Heath Cosgrove, Alabama Development Office, 334.242.0450.